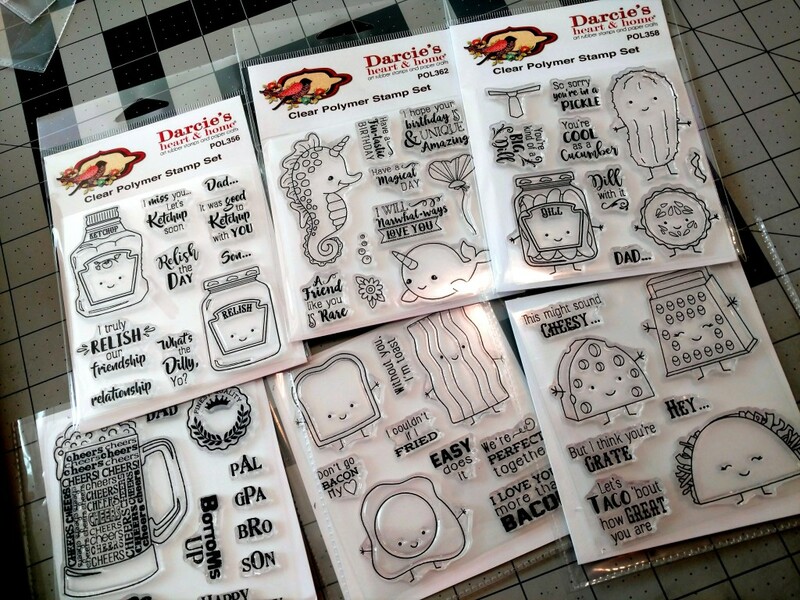 I discovered Darcie’s Heart and Home Stamps while perusing Instagram one day…they have the cutest stamps! 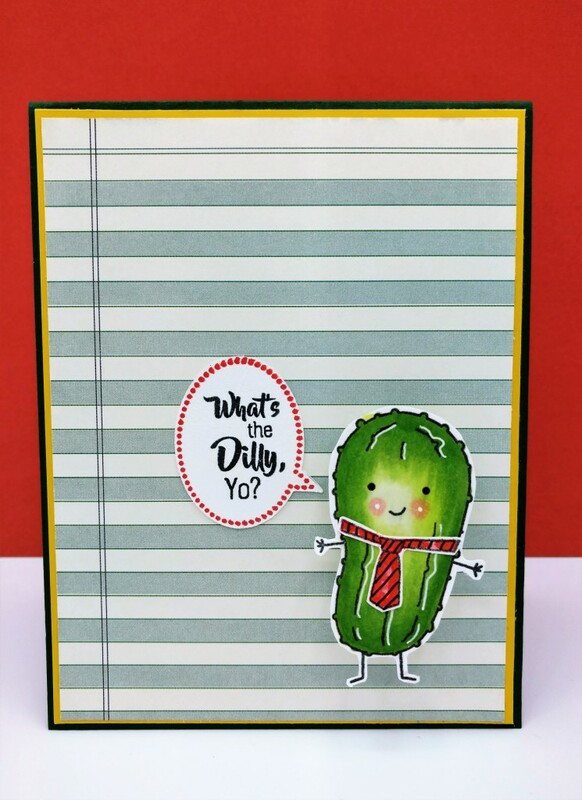 I thought these pickles were a hoot and couldn’t wait to make a card for a friend…What’s the Dilly, Yo? Ha, funny. I liked this little guy so much that I colored another and made a birthday card for my uncle. 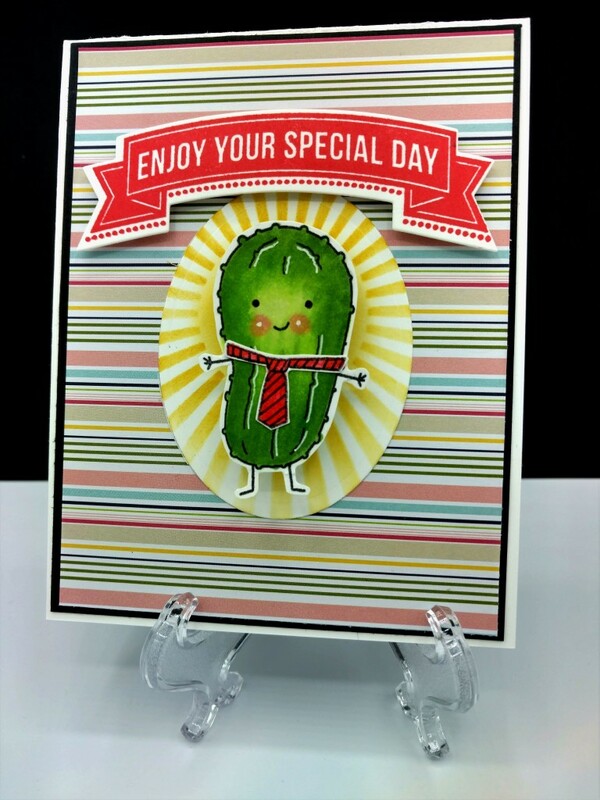 The pickles are secured to the card with an action wobbler so they wiggle. 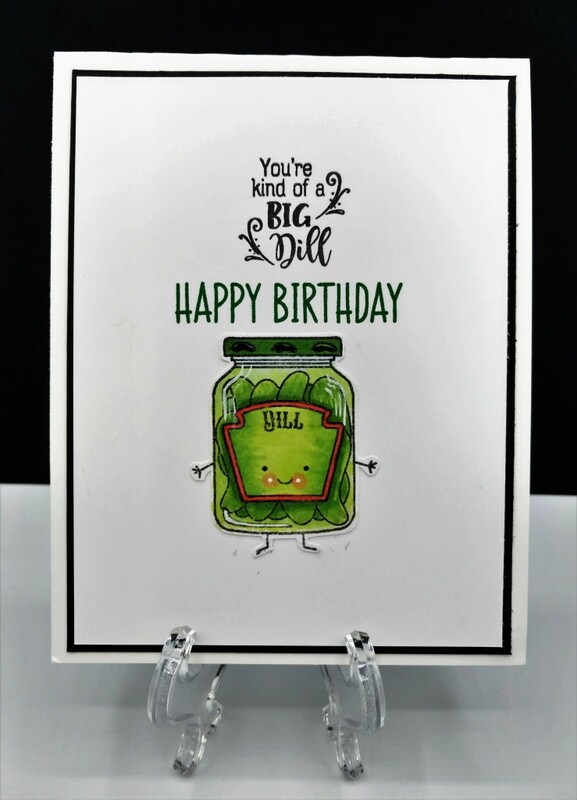 Not only do these cute images have equally as cute little faces, they’ve got fun, punny sentiments too. I’ll be inking these cuties up very soon.